SAN FRANCISCO – From Donald Trump to Barack Obama, the bragging rights of Twitter's most powerful are about to get seriously humbled. As Twitter stops counting tens of millions of followers to crack down on fraudulent and suspicious activity, everyday folks will take a hit to their follower counts, too. But the accounts with tens of millions of followers, the ones that make mere mortals ooze buckets of digital envy for their online popularity, will be in for a world of hurt as Twitter deflates their follower counts. How much of a decline there will be for Trump, who has 53.4 million followers, and Obama, who has 104 million, remains to be seen. One thing is likely: A backlash is coming. Conservatives have complained for years that these kinds of purges unfairly target conservative voices who don't agree with the political views of Twitter's largely liberal staff. For Twitter, this is just the latest effort to restore trust with users. Follower counts, a key measure of online popularity and influence, should be accurate, it says. So it made the decision to no longer include Twitter accounts that it had frozen for suspicious behavior in the totals of followers listed on people's profiles. As a result, most people will see a drop of four followers or fewer, according to the San Francisco company. The likes of Katy Perry (110 million followers) and Rihanna (89 million followers) could see their Twitter cred slide significantly more than that as about 6 percent of the total combined follower count permanently vanishes. The internet has experienced this kind of bloodbath before. In 2014, we had the Instagram Rapture, when the Facebook-owned company slashed deactivated spam accounts and other accounts that violated its guidelines. Distraught users begged the company to stop decimating follower counts as socially media savvy celebrities such as Justin Bieber mourned the loss of millions of followers. What are these accounts no longer being counted as followers? Twitter points to signs the accounts were spam or fraudulent. It locked accounts after detecting sudden changes in activity, for example tweeting unsolicited replies or mentions, posting misleading links or if the account is blocked by a large number of other accounts. Twitter contacted the account holders to ask them to verify the account and reset their password. If the account holders didn’t respond, the accounts remained locked. 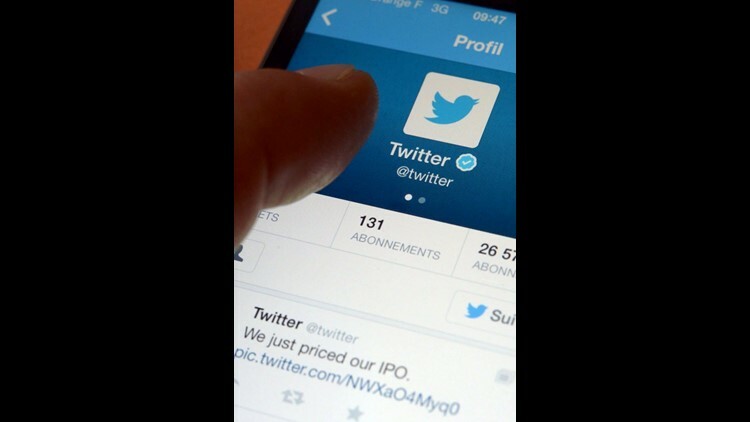 Twitter account on a smartphone, Rennes, France, Nov. 7, 2013 file photo. For CEO Jack Dorsey, cleaning up shady social media practices such as automated bot accounts and the buying and selling of followers is critical to promoting "healthy" conversation on Twitter. This is his latest volley in an intensifying battle to stem the spread of abuse, misinformation and propaganda that undercut trust in the platform, particularly after revelations that Russian operatives exploited Twitter to meddle in the 2016 presidential election. Fake followers aren't just troublesome to Twitter, they're not popular with advertisers. Last month, consumer goods giant Unilever said it would focus spending on those platforms that made an effort to rid themselves of this kind of "influencer" fraud. “Our digital ecosystem is being polluted by a growing number of fake user accounts, so Twitter’s commitment to cleaning up the digital space should be welcomed wholeheartedly by everyone, from users of the platforms to creators and advertisers," Unilever's chief marketing officer Keith Weed said in a statement. "People having an artificially inflated follower count made up of bots and redundant accounts is at best deceiving and at worst fraud." Twitter has shaved follower counts before. It cracked down on bots and fake accounts this year after a New York Times report uncovered substantial follower fraud. Twitter has 336 million users who log in each month. Most of the accounts frozen by Twitter for suspicious behavior had not been active in at least a month. Last week, The Washington Post reported that Twitter would suspend more than 1 million accounts a day, shaking up the company's stock and getting the notice of Trump, who tweeted, "Twitter is getting rid of fake accounts at a record pace. Will that include the Failing New York Times and propaganda machine for Amazon, the Washington Post, who constantly quote anonymous sources that, in my opinion, don’t exist - They will both be out of business in 7 years!"